Kevin Keating was once known far and wide as the Mission Yuppie Eradication Project; he was accused of keying SUVs in the late 1990s to protest gentrification. Most people thought he was making a complicated point in a humorously dramatic manner, but, of course, opinions varied. In a 1999 San Francisco Chronicle article detailing his arrest and the police ransacking of his home, he was portrayed as a poo-smearing criminal, but even Commander Greg Suhr of the Mission Police Station freely admitted that Keating was “well-read and cerebral.” Don’t you want to see this guy’s art collection? At “Defiant Proclamations,” Keating and other interesting, energetic activists such as muralist Mona Caron and painter Hugh D’Andrade display their political posters. “Radical Posters from the 1960s to the Present” is the show’s subtitle, and other contributors include Jesus Barraza and Melanie Cervantes of Dignidad Rebelde, who have deep roots in the Bay Area’s graphic-arts poster tradition. And word on the cyberstreet is that Vince Dugar has a poster made by 1960s food-freedom group the Diggers. Vince Dugar has sent me a few photos of posters and handbills that he and I will hang on the walls March 11. I went by his house last week and got to look through his assorted collections. Many great items, and many other causes and opinions missing (no People’s Park, Free Speech, or Anti-Nuke, etc. items). But he has some amazing gems, including an original SF Diggers’ “1% FREE” poster as well as a bluntly defiant handbill calling for black men to avoid the Vietnam draft. The show will be featured in the SF Weekly Events Cal in a few weeks, and things are moving along well with compiling the work from all the other artists. Enjoy the pics! At the height of the Vietnam draft, many radical groups saw the conflict as a war fought by peeople of color for rich white men. This handbill bluntly attmpts to tell the young black men of the era what they’re getting. 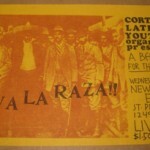 A hand bill from the Cortland Latin Youth Organization in the Mission Dist. of SF. Probably from the 1970s. 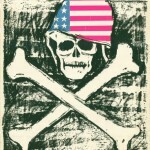 Vince just purchased this original SF Digger 1% FREE poster. I have been told that this poster was stenciled, so I will finally get to inspect one to see! The “1%” term was a patch that Hells Angels wore to show that they were the 1% of Harley riders who weren’t law-abiding citizens. 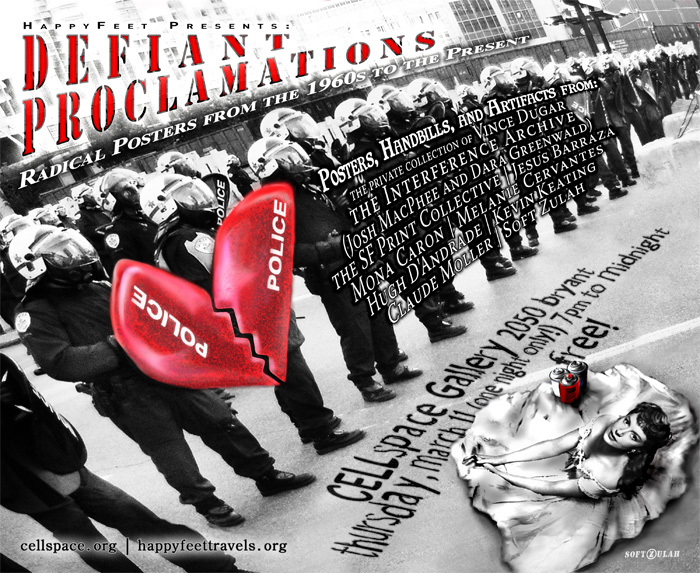 Thanks to Soft Zulah for creating a quick, fun, and compelling flyer/poster image for the upcoming poster exhibit at CELLspace. Go HERE to read all about the show. For decades, Bay Area walls have been pasted with bold art and pertinent messages about the politics, practices, and abuses of contemporary mainstream culture and its co-opted voices. 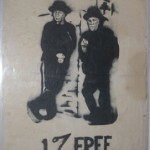 Also speaking outside the frameworks of organized labor and left movements, individual artists and collectives have shouted defiant proclamations with ink and paper. Today, political graphics have reached a broad audience via many media sources, hopefully creating a new wave of radical art as well as a redefinition of visual art and it’s usual commodified structures. With a strong history in the Bay Area, this one night only exhibit will feature works old and new, giving a glimpse of the broad range of opinions and styles that have papered walls across the area.